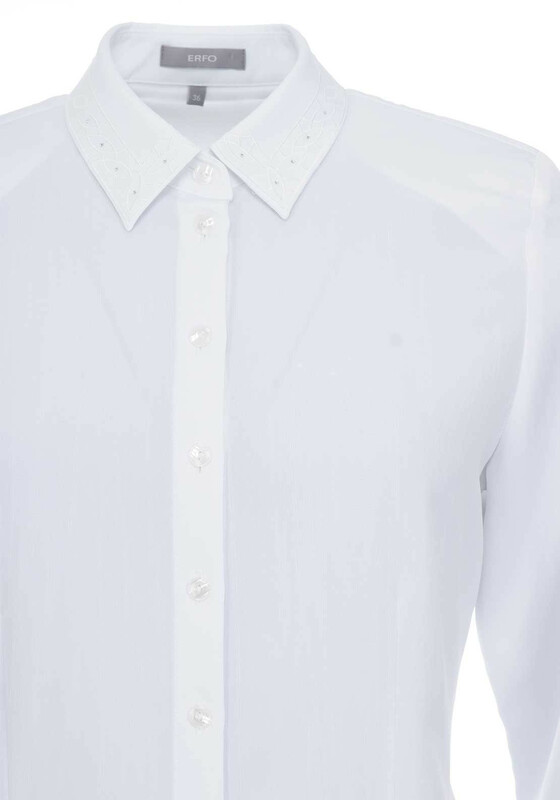 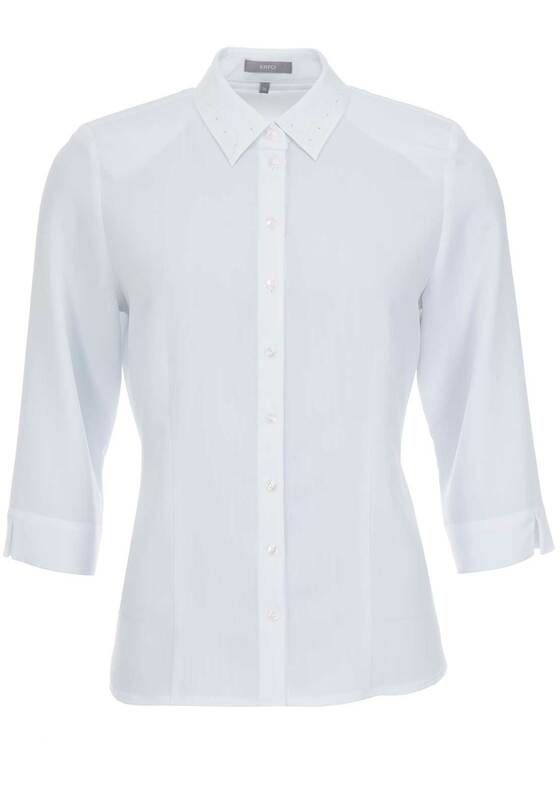 ERFO presents this classic white blouse which features a pretty embroidered pattern with diamante embellishment on the turn down collar. 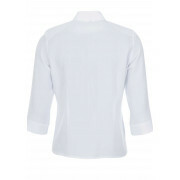 Made from lightweight fabric which will be soft against the skin. 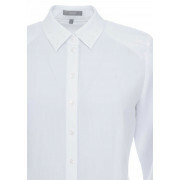 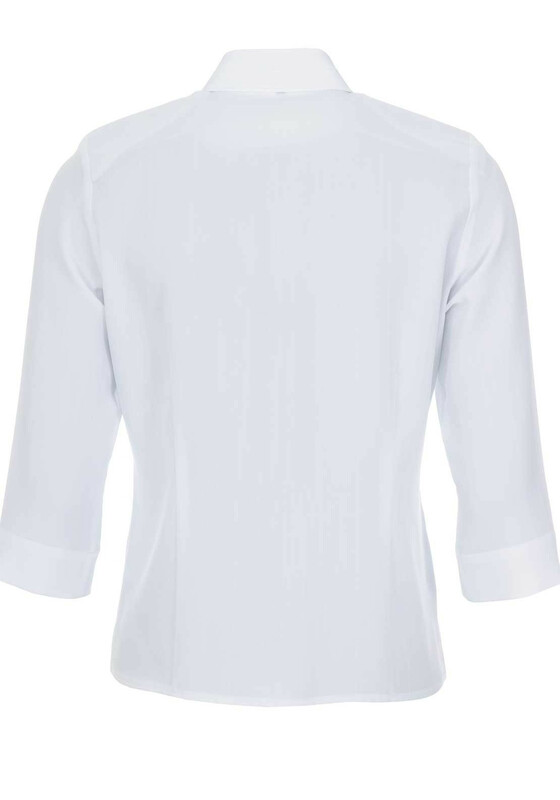 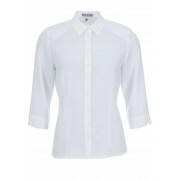 Designed with a figure skimming shape and cropped sleeves.